This drama is named after a line from the poem Staying at a Cottage of Mt. Hibiscus on a Night of Snow of the Tang Dynasty: "When the mountains lurk dim in the pale dark, the cottage of shabby looks stands lone in twilight. By the wattle gate now I hear dogs loudly bark, the master has come home in the snow of night." 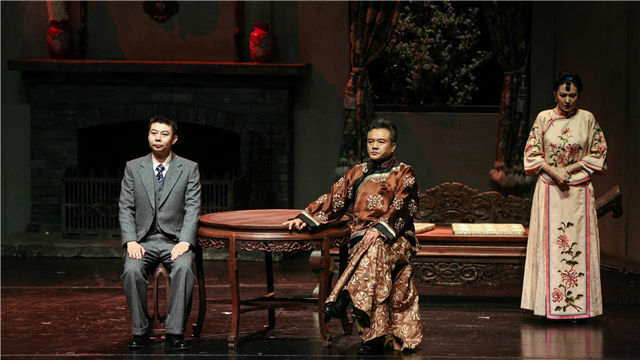 WU Zuguang, the playwright, described the joys and sorrows of the famous actor named WEI Liansheng in the historical context where people were swaying in the midst of a raging storm. He has experienced both the prosperity of being popular in early years and hard times of despair. The love story between him and Yuchun, a concubine of the bureaucrat named SU Hongji is just a sad melody that costs their lives. The prosperity on the stage, the desolation of life, the variability of love and the changes of destiny... With this sentimental love story, Wu Zuguang sought to explore the eternal essence of life, the awakening of nobodies and their inquiries towards the desolate destiny. The drama premiered in Chongqing in 1944 and was filmed in 1948, under the direction of WU Zuguang. In the past decades, several other versions of the drama, including Ping Opera, Cantonese Opera and ballet, have been released. At the end of 2012, the NCPA called together a first-class domestic drama team for rearrangement of Returning Home on a Snowy Night as a full-scale drama in honour of the fifth anniversary of its opening. The drama is also the NCPA’s first modern classic play. In April 2013, the drama was revived, winning many favourable comments as well. 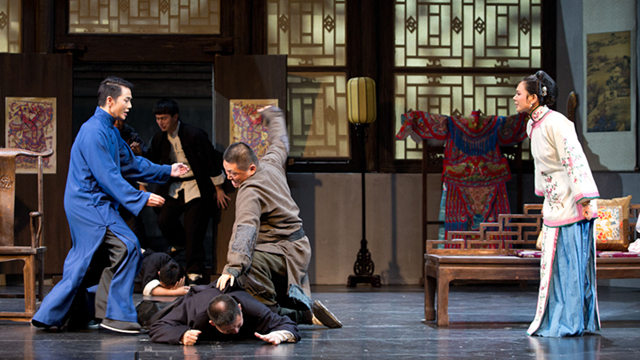 In May 2014, the drama was invited to the Sino-Korean Drama Festival as an opening play. In October, it was invited to Taiwan by the Taiwan Theatre & Concert Hall and Taiwan Performing Arts Center, where it was performed four times, all seats sold out, receiving heartfelt praise and applause from the Taiwan audience. In April 2015, this drama returned to its “birthplace” NCPA, where it showed its charm yet again. 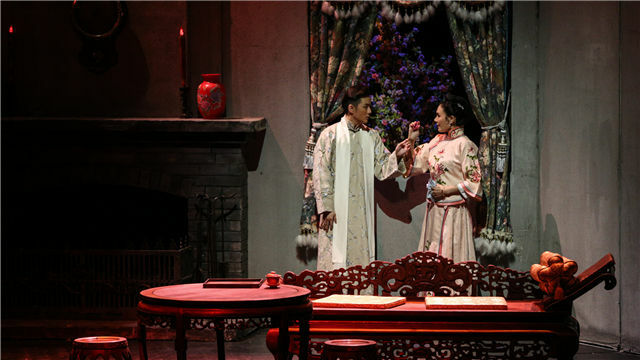 On May 29 this year, the story that took place in the Republic of China decades ago will be staged again at the NCPA, to show audiences a classic and immortal elegy for love. Twenty years ago, there appears a poor Peking Opera actor WEI Liansheng who fascinates dignitaries, young men and women, and even the general public. He has large social circles and often relieves poor neighbours, thus is popular with the people. Chief justice SU Hongji getting rich by smuggling opium leads a happy-go-lucky life. His fourth concubine Yuchun is a prostitute, and then is redeemed as concubine by SU Hongji. With a free heart, Yuchun is not resigned to the caged material life. 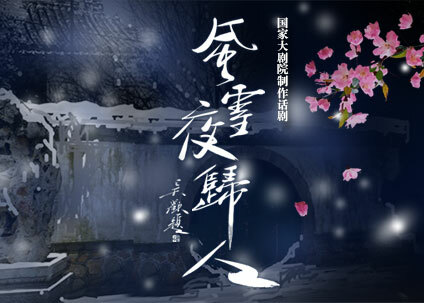 She learns the drama and meets with WEI Liansheng, and confides to him her miserable life. Before Liansheng goes to Su Mansion for birthday celebration and performance, Yuchun invites Liansheng to her loft. Because of their similar background and fate, they fall in love and agree to elope toward the freedom. At this time, Liansheng picks a Chinese crabapple flower and sends it to Yuchun. He is a famous scholar, playwright, calligrapher, most legendary culturati in contemporary China, praised for "conscience" of Chinese intellectuals by public opinion at home and abroad, and the backbone of the Chinese traditional culture. 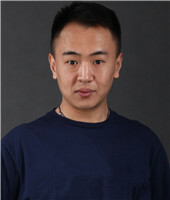 Mr. WU has profound cultural background and is well known at 18 years old. Since the 1930s, he has been very prestigious in the circles of drama, literature, and calligraphy, with more than 50 works covering drama, prose, political comment, and calligraphy, such as Return on a Snowy Night, Make a Living Wandering from Place to Place, Flower Is a Go-between, and Anthology of WU Zuguang. 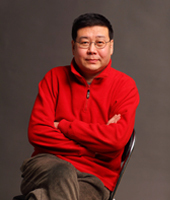 REN Ming is a stage director and Deputy Dean of Beijing People's Art Theatre, and is also a member of Art Committee of NCPA. He has directed more than 60 drama works, including Beijing Grandpa, South Street & North Yard, Family Album, Sunrise, Lotus, I Love Peaches Blossom, Desire under the Elms, Football Club, The First Intimate Contact, Caring Friends, etc. XUE Dianjie, ever went to DDR for study. After returning, he served as stage art designer of the Central Experimental Theatre and China Youth Art Theatre, and Vice President of the Central Experimental Theatre. 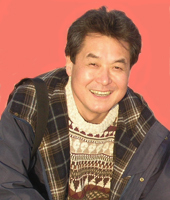 He is the class-A stage art designer of National Theatre of China, member of China Artists Association and Chinese Theatre Association, ever served as President of the 2nd and 3rd sessions of China Association of Stage Arts, and Chairman of OISTAT, and is the honorary President of China Association of Stage Arts. In 1992, he obtained the government special allowance. In October 2003, he was appointed visiting professor of the Central Academy of Drama. 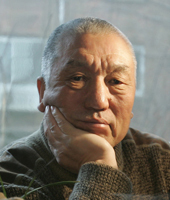 In 2007, he won the title of "outstanding drama art worker of the Ministry of the Culture". 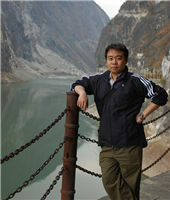 In 2010, he published Xue Dianjie Stage Art Works. 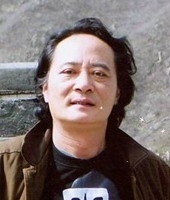 His representative works include Wrong Act in Commercial Circles, The True Story of Ah Q, Legend of Galileo, Season of Cherry, The Jade of the He Family, The Three-penny Opera, Die without a Burial Place, Battlefield of Life and Death, Cheng Ying Saves the Orphan, The Same Person, Journey to the West, Our Jingke, and Four Generations under One Roof. He ever won Wenhua Award of the Ministry of Culture, national stage art excellent project award, art festival stage art design prize, and the outstanding contribution prize for 2nd National Stage Art Exhibition in 2003. 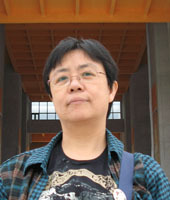 XING xin is a Class-A lighting designer of National Theatre of China and outstanding expert of the Ministry of Culture. He is interested in different kinds of art, and has repeatedly received "Wenhua Award", "China Festival Award", "China Art Festival Award", "Golden Lion Award for Drama", "Five-One Project Award", "Chinese Opera Society Award", "Chinese Stage Design Society Award" and other national awards. CONG Lin is a performer of Beijing People's Art Theatre, who has played many roles in more than 60 works such as dramas Thunderstorm, Teahouse, Rickshaw Boy, The No. 1 Restaurant in China, Mutiny, Lotus, Bosom Friends and Sunrise. CONG Lin always follows the creation principle of realism in director's work. 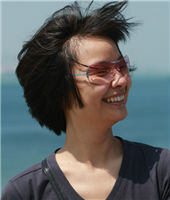 She is a costume designer of Stage Design department of Beijing People's Art Theatre. Over the years, she has served as a costume designer in many plays, films and television plays. The main works include drama Ruan Lingyu, Butterfly Dream, An Unusually Lucky Person, Antique, Waiting for Godot, I Love Peach Blossom, Desire under the Elms, Camel Xiangzi, Dragon Beard Ditch, Bosom Friend, Sunrise and so on; television play HAN Xin, The Grand Mansion Gate, Thick Red Chamber, The Mou's Manor, Indanthrene, Eight Thousand Hunan Women Go up the Tianshan Mountain and so on. She has won the stage design prize of "Golden Chrysanthemum Award" held by Beijing Municipal Government. He is a make-up artist of Department of Stage Art of Beijing People's Art Theatre. His main works include Antique, Waiting for Godot, The Wonders of Natural Beauty Are Boundless, Nirvana of Gou Erye, Wuchang · Nü Diao, Courtyard South of North Street, Beijinger, Family Photo, Wotou Hall, Dinner, Relationship and so on. 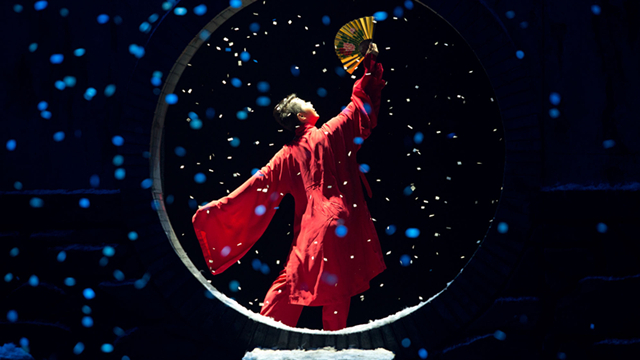 ZHENG is head of Sound Effect Team of Beijing People's Art Theatre. The main drama works include First Intimate Contact, Teahouse, There Is a Poison, Contract Marriage, Confessions of a Man, Wotou Hall, Desire under the Elms, Hamlet, Bosom Friend, Looking for Spring Willow Club and so on. Among them, effect design drama Confessions of a Man won the outstanding stage art prize for the 8th China Drama Festival. He is National Class-A Actor of National Theatre Company of China, executive director of Chinese Dramatists Association. 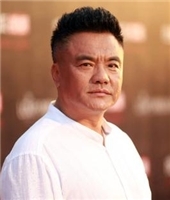 ZHANG Qiuge has ever starred in TV series Bandits Suppression in Northeastern China, General XU Shiyou, Chongqing Spy War, and AA Lifestyle, etc. He was honoured with the Plum Performance Award for the first time in 1998 and then the second time in 2013 due to his impressive performance in drama Severe Burns. 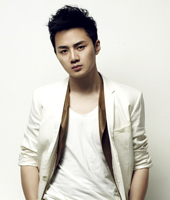 YU is a Chinese actor, graduating from Wuhan Municipal Arts School, majored in Hanju Opera. His honours include Best New Performer Award at the 3rd Asian Film Awards, Best New Performer at the 46th Taipei Golden Horse Film Festival, Best New Performer at the 13th Huabiao Film Awards, Best New Performer at the 12th Chinese Film Society Of Performing Art Award and Best Performer at the 16th Beijing College Student Film Festival,etc. He has starred in films such as MEI Lanfang, Kung Fu Wing Chun, New Shaolin Temple, A Chinese Fairy Tale, The Founding of a Party, The Revolution of 1911 and The Man Behind the Courtyard House, etc. His TV series works include The Firmament of the Pleiades, 100 Flowers Hidden Deep and The Magic, etc. CHENG Lisha, an actor of Beijing People's Art Theatre, has ever starred in drama The First Intimate Contact, Affectionate Men & Women, and Hamlet, etc., films and TV series The Secret History of the Qing Emperor Nur Ha Chi, Big Dock, Change Son For Becoming a Dragon, The Last Princess and She Would Marry a Millionaire, and Love in a Fallen City, etc. 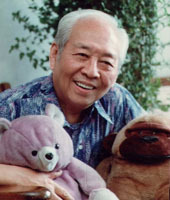 DONG Wenliang is a member of NCPA Drama Ensemble. Graduating from the National Academy of Chinese Theatre Arts in major of Chinese Traditional Opera Performing, he has starred in many dramas, musicals and Chinese traditional operas. He has performed in NCPA dramas including Returning Home on a Snowy Night, A Midsummer Night's Dream, Hamlet, The Merchant of Venice and NCPA drama commission The Lei Family, the Royal Architects.